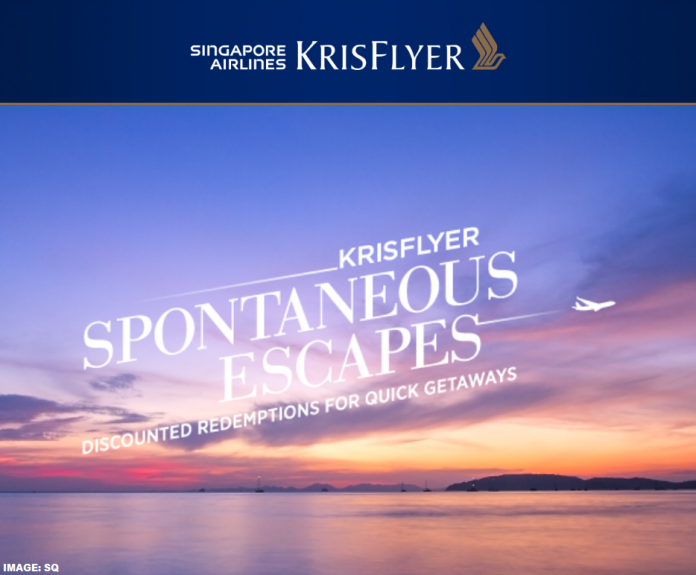 Singapore Airlines has launched their latest Spontaneous Escapes that are valid for travel between May 1 – 31, 2019 and in May for the US destination. 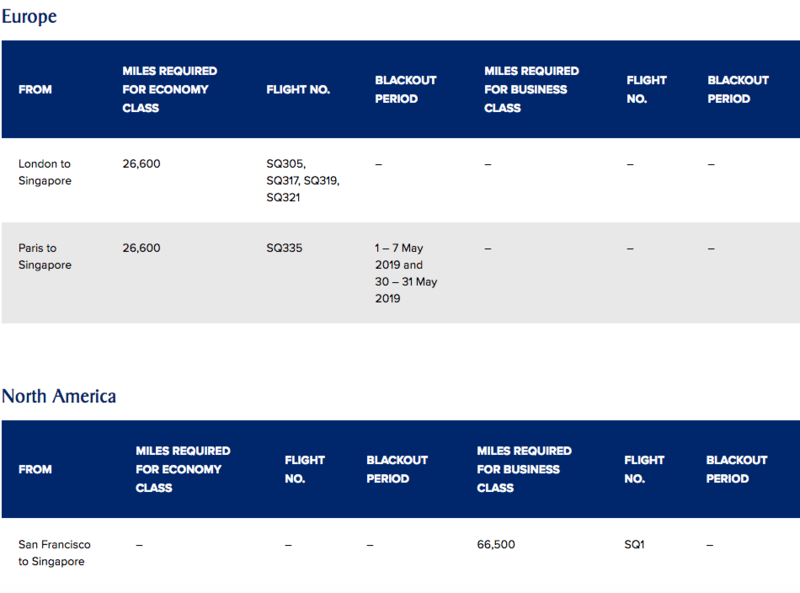 These awards are valid on travel both Singapore Airlines or SilkAir on select routes and discounted by 30% and need to be booked by April 30th. 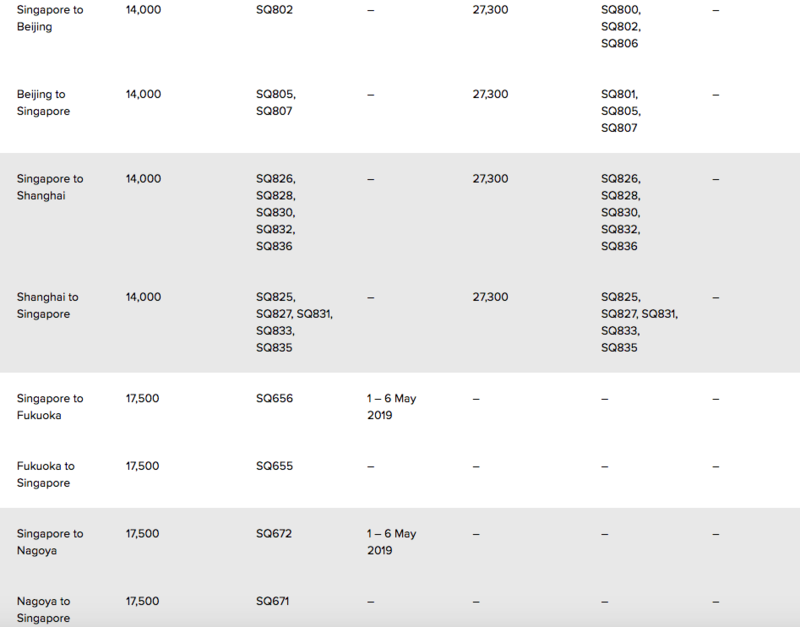 Singapore Airlines sent out an email just now advertising new city pairs as part of their latest Spontaneous Escapes, and at 66,500 miles for Business Class that might be the cheapest way to book the West Coast to Singapore flight. You can access this offer on Singapore Airlines website here. 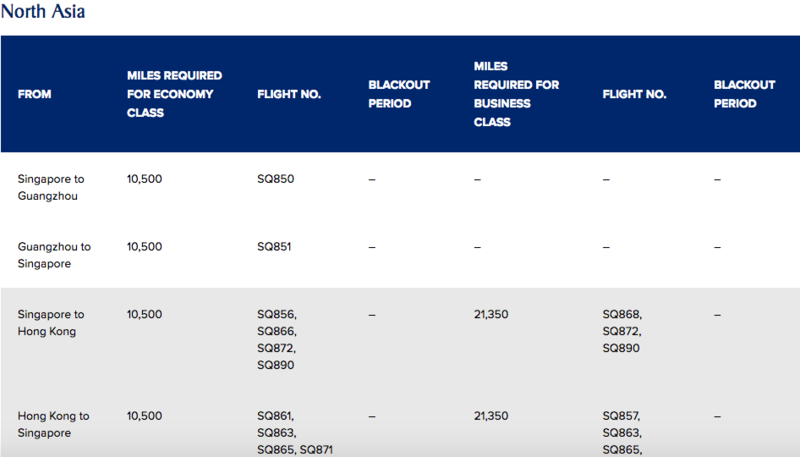 The flight option San Francisco to Singapore is very interesting. 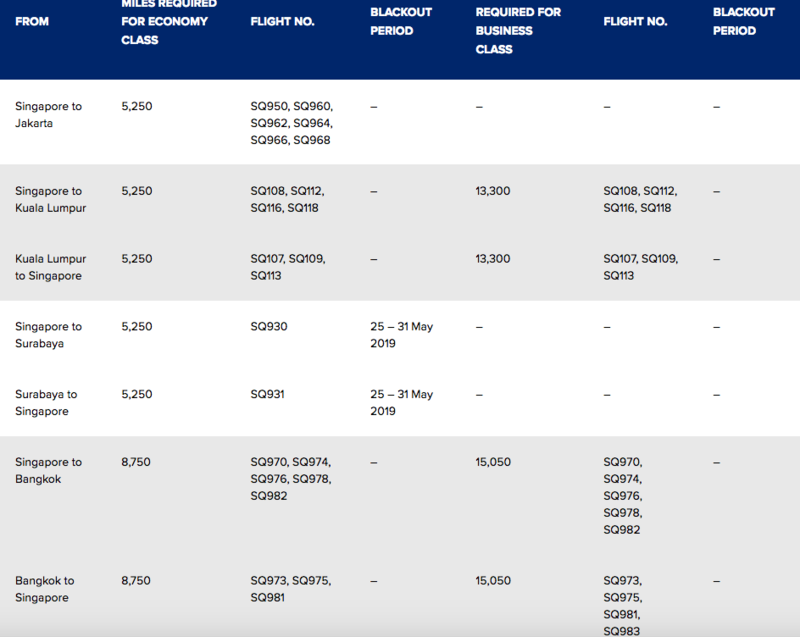 No Business Class options to Europe this time around and once again Seoul is in the mix as well. 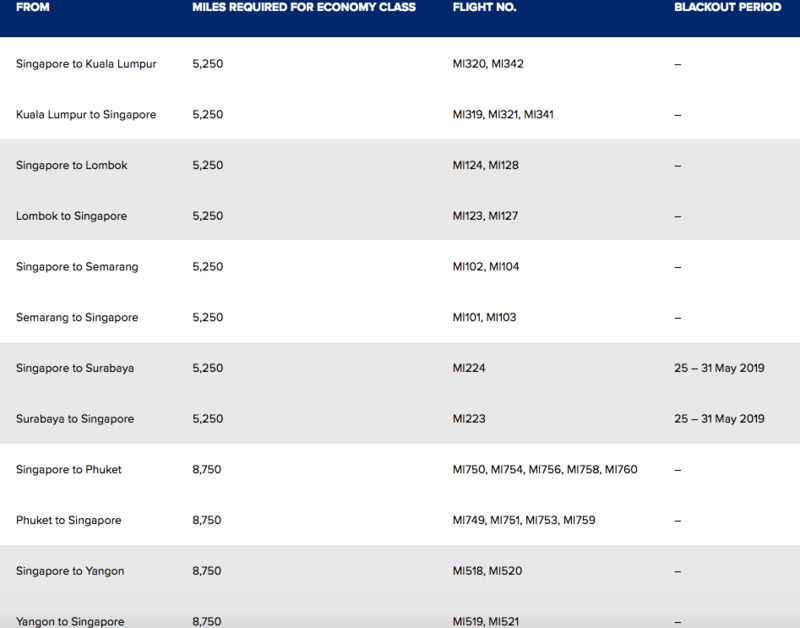 The difference in price between these Premium Economy redemptions and the alternate Business Class award is very small and almost not worth it. 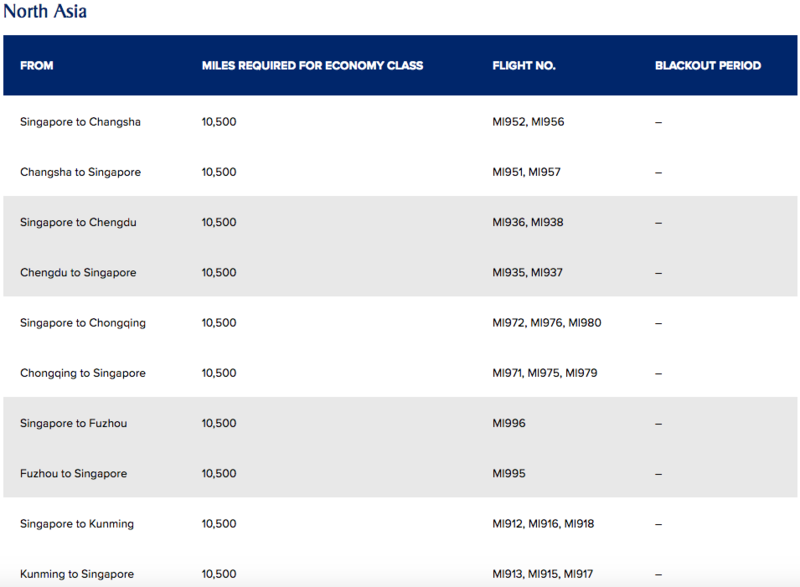 I was a bit disappointed at first when KrisFlyer devalued their award chart and culled the online booking discount some time ago, but the availability for mileage awards using KrisFlyer miles overall is pretty good and, even for First Class and Suites, it’s possible to book tickets even for members without any status. The taxes and award associated fees are also quite low. 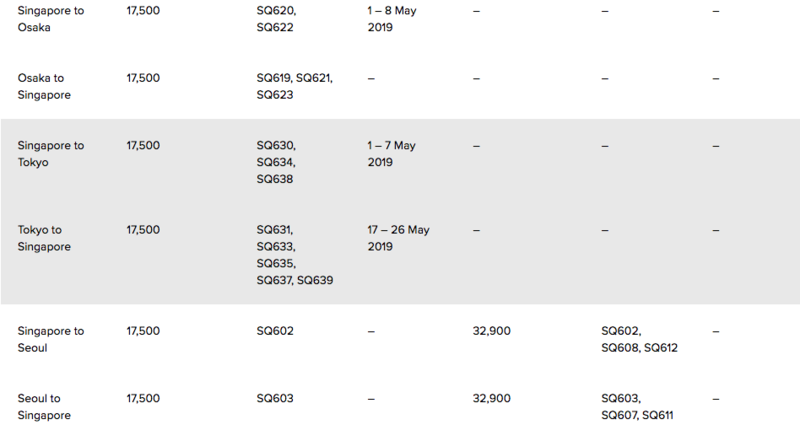 These promotional awards make KrisFlyer somewhat competitive again, especially given the very low surcharges on SIA issued award tickets. 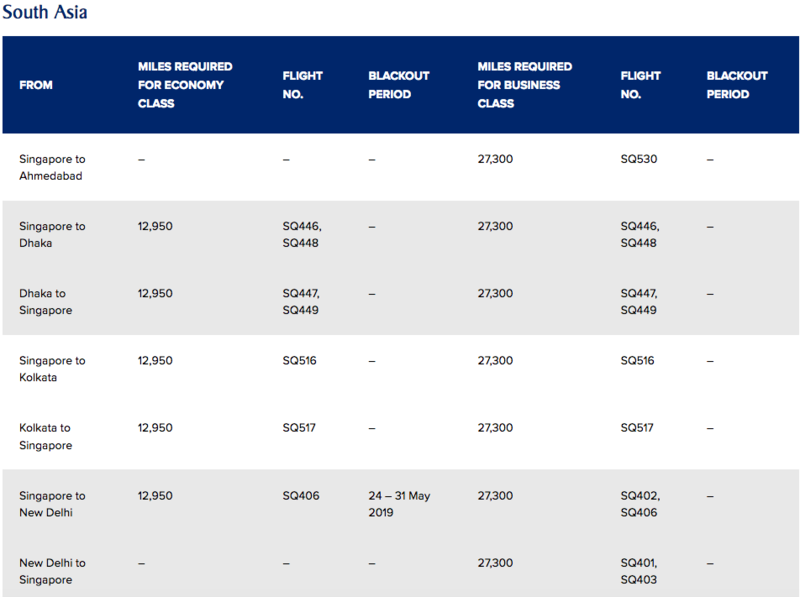 If you like to book one of the ultra longhaul routes then this might be your best bet to get the flights on the cheap. Any change is strictly not permitted for bookings made under this promotion. Cancellation is also not permitted for partially unused or totally unused tickets.This promotion cannot be combined with any other discount or promotion. 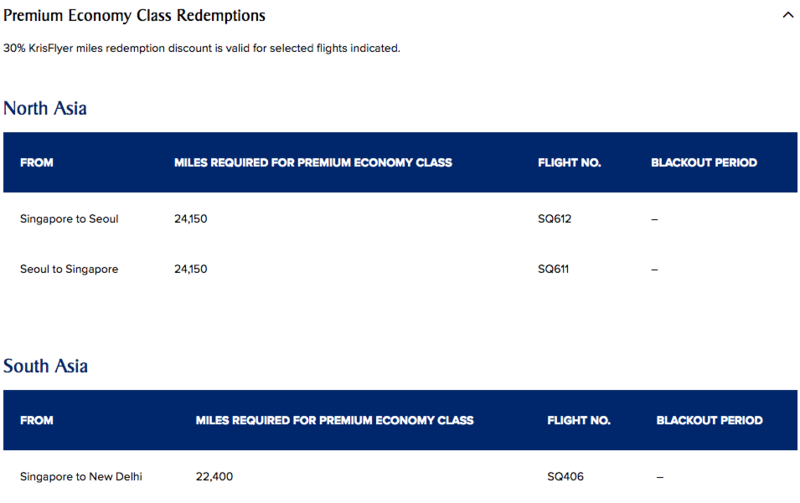 Previous articleTurkish Airlines Miles&Smiles Double Elite Qualifying Miles April 15 – May 31.